Headquartered in New Delhi, Oriental Insurance Company Ltd. is a market leader in providing insurance solutions. Apart from health insurance products, they also offer motor insurance, personal accident insurance, shopkeeper, householder and Nagrik insurance services. They have over 1,800 branches in the country with 31 regional offices. Comprehensive policies - Oriental Insurance offers a number of attractive plans to suit various needs. The health plans provide good coverage against illnesses and also come with added benefits, discounts and rider options. Cashless network hospitals - Equipped with a wide range of cashless network hospitals, Oriental offers good quality services to consumers without any hassles. Easy online purchase - A prospective buyer can instantly get an insurance quote online by providing a few simple details. If satisfied with the quote, payment can be made online without any inconvenience by following a few steps. Hassle-free claim settlement - All claims can be made easily through the toll-free number or online. The customer needs to provide a few basic details and initiate the claim process. Claims can be either cashless claims or reimbursement claims. Daily allowances - In the event of hospitalization, a certain fixed sum of money will be given to the policyholder for a fixed period of time to take care of the daily expenses incurred. Free health check-up - Oriental Insurance offers customers the benefit of availing complimentary health check-ups after the completion of three claim free years. Easy Renewal- Oriental Insurance offers the customer the ease of renewing policies online at the click of a button. This gives policyholders the added benefit of convenience and allows them to renew policies with ease. The Mediclaim Policy is an individual policy that offers comprehensive coverage, covers hospitalization and pre-hospitalization expenses, consultation charges and comes with a wide range of discounts and benefits. The Group Mediclaim policy is an enhanced version of the Individual mediclaim policy that is designed for families. It offers good coverage and benefits. The HOPE policy is specifically designed for the older generation and covers certain specified illnesses such as accidental injury, cancer, knee replacement charges, renal failure and cardiovascular diseases, etc. Specially designed for families, this policy offers protection for the policyholder, the spouse and dependent children. Policyholders can choose go for the Silver, Gold or Diamond plan. The Jan Arogya Bima Policy is a health insurance plan that is designed to benefit the economically weaker sections of society. Individuals who wish to go overseas for employment may apply for this insurance policy, provided they have received the emigration clearance as requested. If the insured person is permanently disabled or faces death, his/her family in India will be provided hospitalisation coverage on floater basis up to Rs.50,000 per annum. Female policyholders can also avail maternity benefits up to Rs.35,000 under the policy. In case of death or disability of the policyholder, the airfare for an attendant to travel to the nearest airport of the insured’s address is provided. Also, the airfare to transport the insured person, or the insured person’s dead body in case of death, is provided. If the policyholder faces a litigation with respect to his employment, the company will reimburse a maximum of Rs.45,000 towards the legal expenses. This health insurance policy is offered to individuals as well as families and provides comprehensive health coverage. Daily hospital cash of Rs.200 is provided to the insured person for every day of hospitalisation, provided the maximum compensation for that particular policy year is Rs.1,000. A total of 116 day-care procedures such as cancer chemotherapy, haemodialysis, nasal sinus aspiration, incision of cornea, etc. are covered under the policy. The expenses incurred by organ donors for an organ transplant is covered by the insurance company. Expenses incurred on nursing, boarding, and room expenses are covered up to 1% of the sum insured of the policy per day. Any ICU expenses incurred by the insured individual will be provided up to a maximum limit of 2% of the sum insured of the policy per day. A comprehensive health insurance policy, PNB 2017, provides coverage for a wide range of medical expenses including hospitalisation as well as pre and post-hospitalisation. Ambulance charges incurred by family members to transport the insured person or funeral charges in case of death of the insured is also provided to the family members. Domiciliary hospitalisation benefits are also available to the insured members of the policy. Apart from the hospital room and ICU expenses, the surgeon’s fees, consultants’ fees, anesthetist fees, etc. are also covered under the policy. Pre-existing diseases are covered after completion of the first 3 years of the policy tenure. This is a simple add-on health insurance policy that will help enhance the base insurance policy chosen by the individual. The Cash Benefit policy provides cash benefits to the insured on being hospitalised. For individuals who are hospitalised for more than 30 to 60 consecutive days, the insurance company provides a convalescence benefit as a lump sum amount in addition to the daily cash benefit. Female individuals covered under the policy are provided with extra daily cash benefit without charging any extra premium. Policyholders are given the option to choose 1 day or 2 days deductible. They can also opt for no deductible. Oriental Insurance provides pan India cashless hospitalization services. To locate the nearest empanelled hospital, log on to their website and click on the ‘Locator’ option. Then proceed to choose the ‘Network Hospital’ option. This will provide a detailed list of all the cashless hospital networks in India. The data will be available city-wise. If the insurance company at any point of time acquires information that the policyholder has provided wrong information, misrepresented facts or has failed to reveal the truth; the insurance company may act as it regards fit and cancel the policy. How can I contact the customer care of Oriental Health Insurance? How do I know how much premium I have to pay for my health insurance policy? Oriental provides quotes online. To get a quote, visit the official website of the company, scroll down to the ‘Get a Quote’ tab, select the product for which you want the quote, and click ‘Go’. Fill in all the necessary details on the redirected page to get the premium amount payable towards the policy. Can I intimate claims online? Yes, you can login to your account and intimate claims.  Can I buy health insurance plans online? You can buy the Personal Accident Policy, Janata Personal Accident Policy, Individual Mediclaim Policy, Overseas Mediclaim Policy, and Happy Family Floater Policy online. Yes, you can renew your policy online on the official website of Oriental Insurance. You have to provide your policy number to go ahead with the renewal process.